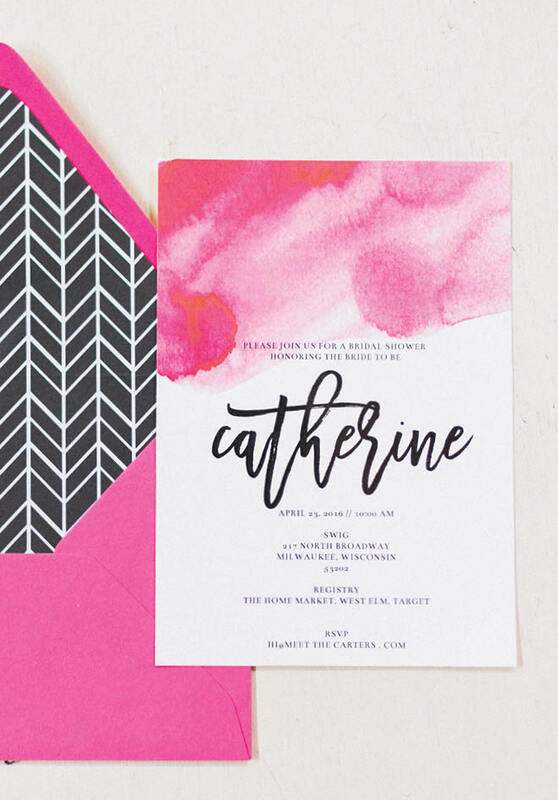 It’s easy to put all your energy into the wedding day, obsessing over details like fonts and frosting. But the events surrounding your nuptials—from an engagement party to a send-off brunch—are opportunities to connect all of the people in your life and shine a light on why you are pledging your love for each other. Each of these events can highlight hobbies, cultures and activities you share as a couple—or even odes to the day you met. Brides shouldn’t feel like they have to plan all of the events. “Let your friends and family take care of the parties for you,” says Tiara Gamez, owner of Events to a T in Milwaukee. This doesn’t mean you can’t offer inspiration. “Show the host photos of what you like to help inspire,” says Haley Mueller, co-owner of Milwaukee’s Mint & Lovely Studios, which can serve as a guide to make everything feel cohesive with the same color palette or even the same vendor for the decorations and invites. 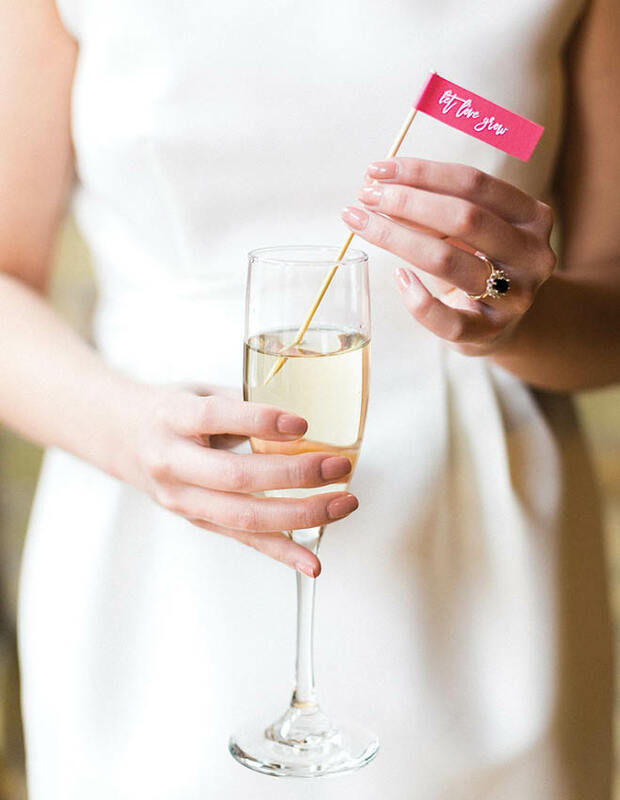 What follows is advice from local pros about how to plan the parties that carry you from your engagement champagne toasts to your post-“I do” fond farewells. Host: Bride’s parents; if both sets of parents are close, they can host together. Guest list: Immediate family, close friends and potential bridal party members. What happens: Introduce each other to your families and friends, and announce the wedding date and location if that’s been determined. “I see engagement parties being more casual, like a cocktail reception with food and people mingling,” says Gamez. Tip: “Creating customized hashtags is really popular,” says Sarbacker. If you know your wedding hashtag, start using it early. Include it on any engagement party signage, along with the wedding date, if decided. Where: Camp Bar in Shorewood has a serene “up north” feel—and you can bring in your own food, says Gamez. Show off your hometown at Blu, on the 23rd floor of the Pfister Hotel in downtown Milwaukee. Or consider the industrial-chic lobby of Milwaukee’s Iron Horse Hotel, where a private bar can be set up. Madison’s Ovation 309 offers a rooftop space with a view. Host: Maid of honor and bridesmaids. Several people often team up to split the responsibilities and cost. Guest list: Close friends and family members of the bride and groom. There can be multiple showers (co-workers, friends, family, etc.) to accommodate various groups or schedules. What happens: What used to be a just-for-ladies event can now be co-ed. Lunch or brunch (usually featuring the bride’s or couple’s favorite foods) can be followed by gifts, games or just socializing. Tip: If the bride feels uncomfortable with the traditional gift opening in front of an audience, feel free to skip it. Planners like Gamez are seeing the tradition done less and less. Where: “I love the Villa Terrace in Milwaukee during the summer,” says Gamez. Look into a restaurant’s event space, advises Emilee Robenhorst, of Milwaukee’s Mint & Lovely, who is a fan of Onesto in Milwaukee. “City parks are a hidden gem (and no one has to clean their house),” says Sarbacker. She recommends James Madison Park in Madison for a lake view and lawn games, as well as Tenney Park’s newly renovated pavilion. Guest list: Women who are very involved in the wedding day, like your mom, future mother-in-law and bridesmaids. What happens: This is a way to thank your favorite gals with a catered lunch (and Champagne, of course!) or spa treatment on the morning of the wedding or during a prior weekend. Tip: “It’s really popular today to get ready onsite, like at the hotel. You’re able to interact a little bit more,” says Gamez. This can be a perfect time and place to treat your bridal party. Build time into your getting-ready routine to enjoy yourself with your gals. Where: “Sundara Spa in Wisconsin Dells is really popular for a day trip,” says Sarbacker, who is noticing a trend where brides tack on photography services for candid shots at events like this. What happens: Start the night with a special dinner before going out on the town, or plan an activity such as seeing a performance. Tip: “Bar-hopping is usually involved—anything people can do to let loose,” says Gamez. Sarbacker is noticing bachelor and bachelorette parties regrouping at the end of the night or starting the day together with a bloody Mary bar. Where: Splash Studio in Milwaukee’s Third Ward hosts painting classes, with wine sold on site. “Splash is really great at customizing your party,” says Gamez. Sarbacker recommends Betty Lou Cruises in Madison, which organizes wine and cheese sailings. Host: Traditionally the groom’s parents. But the couple can host themselves if preferred. What happens: Dinner and drinks after the wedding rehearsal. “It’s a really good time for parents to thank everyone who came, before the chaotic wedding day begins,” says Robenhorst. Where: Looking for something more casual? In lieu of a formal setting, “rent a pavilion and have a casual barbecue,” advises Robenhorst. Consider having it catered by a local favorite like Bel Air Cantina in the Milwaukee area. Host: Anyone, but typically the bride’s family or the couple. What happens: Held at the hotel where most of the guests are staying or where the wedding reception was held, in an open-house, drop-in format. Where: In Milwaukee, Gamez likes Harbor House’s Sunday brunch buffet. The Edgewater Hotel’s Sky Bar and the Red Crown Club are popular, says Sarbacker, who has also seen couples who host a Friday-night wedding lay out a picnic blanket on the lawn at the Dane County Farmers Market and provide a list of recommended vendors for a quick picnic.